Many current and future Canadian snowbirds are tempted by the relatively low cost of owning property in the U.S. and believe now is a good time to buy, as prices are likely to creep up as more and more Boomers retire and want their place in the sun. But while many Canadian snowbirds aspire to own a home or condo in their winter getaway destination, figuring out the best way to pay for it can often be a challenge. Using a mortgage to help finance your vacation properly can be a good option, but it’s important to understand what securing a mortgage in the U.S. entails first. Accordingly, we’ve compiled an introduction to U.S. mortgages to help Canadian snowbirds better understand how vacation home mortgages work and decide if it’s a good option for you. What options do Canadian snowbirds have to pay for the purchase of U.S. real estate? Many Canadians want to invest in real estate in the U.S. because, generally speaking, it is much more affordable than in most parts of Canada. Whether you intend to use it as your own vacation home, are buying it for future use or are simply investing in U.S. Sunbelt real estate, you should consider carefully the best way to pay for it. Which option works best for you will depend on various factors, including your personal financial situation, as well as the current exchange rate, Canadian interest rates and U.S. mortgage rates. When the dollar was at par, a number of Canadians paid for their U.S. real estate in cash or using a home equity line of credit against their Canadian residence, which might have made sense at the time to take advantage of the strong purchasing power of the Canadian dollar. However, with a lower Loonie sitting at around 76 cents U.S. in early 2017, this may not be your best option, as you’ll have to come up with considerably more cash in Canadian dollars to convert to the U.S. purchase price – a 32 or 33% premium. Accordingly, when the Canadian dollar is weak, your best option is often to get a mortgage against your U.S. property. Before you go shopping, get prequalified! Before you start looking for your winter dream home, it is best to go through the pre-qualification process first. This pre-qualification process can be done over the phone or online within a few days and helps you establish your purchase budget, as the bank can provide you with an amount they are willing to lend based on the financial information you provide and your credit history/score. Although it is not a firm commitment letter, it represents a good financial planning start before looking for a new property. Also, in some very competitive U.S. real estate markets, many realtors won’t start working with a potential buyer if you don’t have a pre-qualification letter. It can also give you an edge in a situation where there are multiple offers on the same property - while a pre-qualification letter may not be as good as a cash buyer, you’ll be in a better position than a buyer who does not have a pre-qualification letter and needs to apply for a mortgage. Can you get a mortgage in Canada for U.S. real estate? 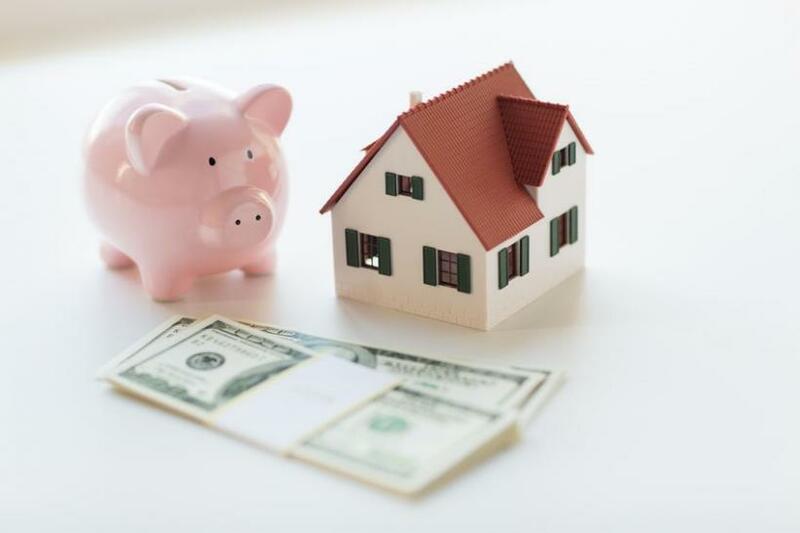 If you are considering financing the purchase of your U.S. vacation home with a mortgage against the U.S. property, it’s important to understand that Canadian lenders don’t offer mortgages against U.S. real estate, as they don’t have legal jurisdiction in the U.S. Accordingly, you’ll need to get a mortgage from a lender in the U.S. Your best bet will almost always be to get a mortgage from a Canadian lender with operations in the U.S. - more on this later. How are U.S. mortgages different than Canadian mortgages? Mortgage Approval Times: While mortgage approvals in Canada are relatively quick, taking about 4 or 5 working days, approvals In the U.S. typically take about 45 days! So you’ll need to plan accordingly. Documentation: The documentation required is quite complex and includes things like a requirement to provide two years of tax returns, bank statements, your other investments, etc...as well as other supporting documents. While some documents might be similar to those required to secure a mortgage in Canada, others will differ. Closing Costs: Another important distinction that you must be prepared for is that the closing costs will be about 3% of the loan amount. This is mostly made up of third party fees such as State tax, title insurance, and a 1% “origination fee” – which allows you to pay off the total amount at any time without penalty - a desirable option for snowbirds if the Canadian dollar strengthens significantly against the U.S. dollar. These differences have nothing to do with you being a Canadian, the rules are the same for American applicants. It is very important to speak to a professional at a lender that specializes in offering mortgages to Canadians in the U.S. to understand all the different terms. While Canadians can get mortgages in the U.S. from many lenders - whether they are affiliated with a Canadian financial institution or not - your first choice will almost always be to seek out a Canadian financial institution with operations in the U.S. Better Rates: Most U.S. banks don’t really want to deal with foreign nationals. To make dealing with a foreign national worth their while, they will charge a premium over the mortgage rate they would normally charge an American applicant. However, Canadian lenders with U.S. operations are much more comfortable lending to Canadians, and won’t charge such a big premium on your mortgage rate, if they even charge one at all. For example, in early 2017, mortgage rates in the in the U.S. were around 4%, and Canadians could get a rate like this from a Canadian lender with U.S. operations. However, if you were to deal with a U.S. bank that didn’t have a Canadian affiliation, your mortgage rate would be closer to 6% - a significant difference! Faster Approval Times / Easier Process: A Canadian bank with U.S. operations will usually be able to turn your application around quickly – by U.S. standards – in about 45 days. They will have access to your Canadian credit rating and be comfortable using it in the approval process. They are also used to dealing with Canadian borrowers, which allows them to offer a more familiar and painless experience. On the other hand, a U.S. bank with no Canadian affiliation may take longer to approve your application and make you jump through additional hoops, such as extra paperwork and supporting documentation, before they approve your application. “Since we better understand Canadian borrowers and their needs, Canadian lenders can make the mortgage process in the U.S. more efficient and provide a better borrowing experience overall“, said Forget. Remember, since this isn’t your primary residence, the down payment you will need for a U.S. property will be more that what you would have to put down as a down payment for your primary residence in Canada. Personal Use Property: If the property you are buying is for personal use then you can generally borrow up to 80% of the value of the property so you’ll only need a 20% down payment. The value is determined by the lesser of an appraisal or the price paid. Investment Property: If you are looking to buy an investment property, or a property that you intend to rent out most of the time, you can only likely borrow up to 60% of the value, which means you’ll have to come up with a down payment of about 40%. If you’re a Canadian snowbird purchasing U.S. real estate, getting a mortgage to help finance your purchase can make a lot of sense. In addition, it is usually much easier and less costly to use a U.S. lender with a Canadian affiliation rather than a non-affiliated U.S. lender. This will ensure faster approval, lower rates, access to your Canadian credit history and familiarity with Canadian borrowers.